The new ‘Ohel Chesed’ and Esther’s Cafe in Moscow might be the world’s most interesting “Gemach” – lending organization. A number of moving events took place at the Shaarey Tzedek Chesed Center located in the heart of the Marina Roscha neighborhood of Moscow. Under the auspices of Chief Rabbi of Russia Berel Lazar, the Center serves thousands of elderly, indigent, or lonely Jews who visit the large edifice that has become like a second home to them daily. The events began with affixing a mezuzah to the newest project,’Ohel Chesed’” – a lending depot for Jewish families. It was named after Mrs. Ahuva Liba Hurwitz OBM and dedicated by her husband Rabbi Mordechai Hurwitz of Jerusalem. 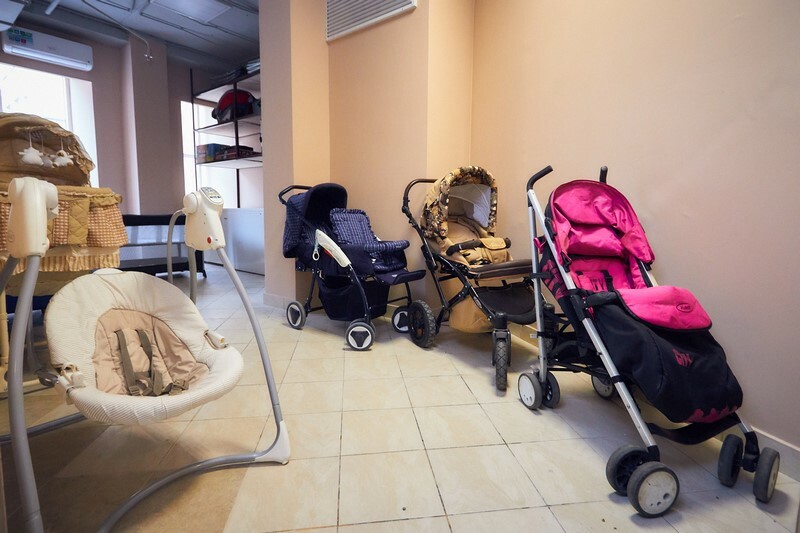 The Lending Depot assists Jewish families with a variety of useful items, like cribs, strollers, bassinets, shabbos hotplates, hot water urns, folding chairs, and much more. Much time and thought were invested in purchasing the items as well as preparing a comfortable and easily accessible area to store them. In the spacious lobby of the large Chesed Center, “Esther’s Café” was inaugurated, named after the legendary Mrs. Esther Hoichberg OBM. Its mezuzah was affixed by Rabbi Lazar who founded the large Chesed Center in order to assist thousands of Moscow’s elderly and indigent Jews. Along with dozens of other charitable projects, it offers daily assistance to countless Jews. The Café is a unique project, beautifully designed and built to allow anyone and everyone to refresh themselves with a cold or hot drink and a snack throughout all hours of the day. This is in addition to the center’s large soup kitchen which daily feeds close to a thousand people with hot nutritious meals.